Save AED 165 (61.34%) – Earn 10 Shukrans What is Shukran? Shukran is the Landmark Group’s award-winning loyalty programme in the Middle East, which allows you to earn Shukrans when you shop any of our brands. 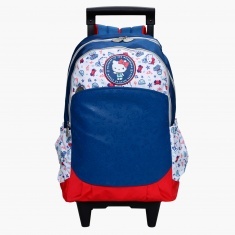 Printed to add a trendy edge, this lovely backpack has two wheels and a handle for convenience. It can be rolled when the items in the bag are heavier. 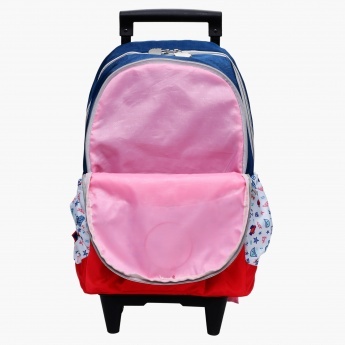 The dual, adjustable straps allow your kid to carry it on the shoulders as well.